Hanoi is officially admitted as a member of the International Hydrographic Organization. On September 2, Vietnam was officially admitted as a member of the International Hydrographic Organization (IHO). The IHO, headquartered in Monaco, is an intergovernmental organization that was established in 1921 to help ensure that the world’s waters are properly surveyed and charted. It does this through a number of ways including setting international standards, coordinating the work of national hydrographic offices, and capacity-building. Hanoi’s admission to IHO was confirmed at a flag-raising ceremony in Monaco, which coincided with Vietnam’s 70th National Day. The event was attended by Rear Admiral Pham Xuan Diep, the deputy commander and chief of staff of the Vietnam People’s Navy, along with representatives from the Vietnamese Ministry of Foreign Affairs and defense agencies, IHO president Robert Ward, and other IHO officials. Vietnam has a particular interest in joining groups like the IHO because it is a coastal state. 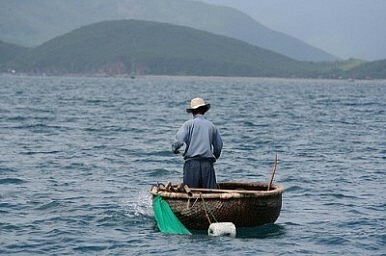 Vietnamese officials have repeatedly noted how the country’s extensive coastline means that the maritime domain is not only important in terms of safeguarding the country’s sovereignty and territorial integrity – as is the case with the South China Sea – but also preserving its blue economy, which is vital to advancing its socioeconomic development (See: “US and Vietnam Should Boost Defense, Economic Ties, Says Communist Party Leader”). For the IHO, the admission of coastal states like Vietnam – its 84th official member – is a step forward in advancing its mission of surveying and charting the world’s waters. According to the group’s website, less than ten percent of the world’s coastal seas and oceans have been surveyed and charted to the same or better resolution than maps of the moon and Mars. Coverage of survey data is especially poor in the Caribbean, Indian, and Pacific Oceans. “Improving this unsatisfactory situation requires the involvement of every State with maritime interests. It is a collective problem,” the IHO noted on its website, explaining why coastal states should aim to become members. The relationship between Hanoi and Tokyo needs to be put in broader context.